On youtube or other sites its not possible to watch streaming-videos anymore. With previous opera-version everything was ok! Same here. No videos are playing. "We cannot play the video in this browser. Please try a different web browser." That video in particular is avc1/mp4a, so h264. The vp9/opus vids should still work. @gloewa Twitter's videos isn't working as well. @appdevsw Thank you. Works in ubuntu trusty too. But this can only be a temporary solution. To OPERA-Crew: do you have a testmanagement, ... ? Thanks @appdevsw, and @l33t4opera on blog and here also. 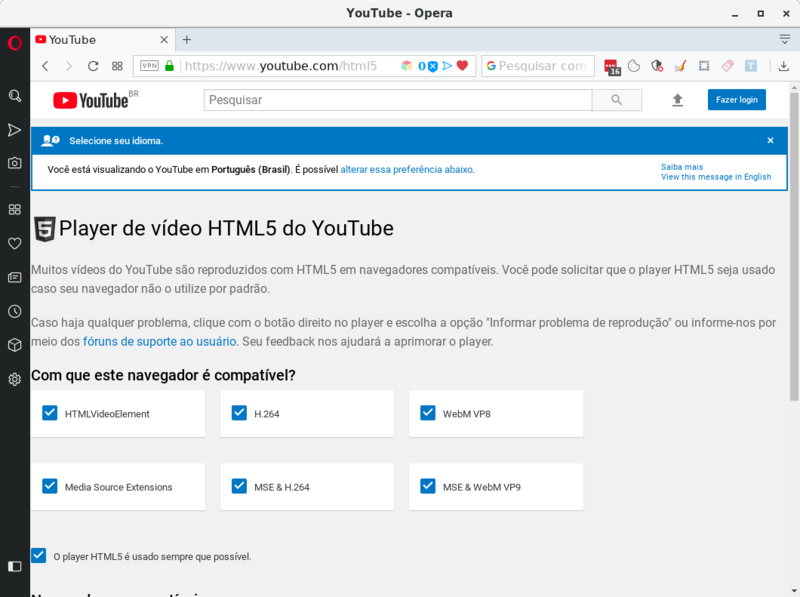 The key factor on this current version of opera is that the libffmpeg.so needs to replace the version included with opera. Past versions of opera would work this way but didn't require it. This file in /resources dir ffmpeg_preload_config.json is still the same though. ?? I have had the same problem. Videos in Facebook not playing, videos on Bitchute.com not working. Have had to start up the Brave web browser to get them playing. I will try the method mentioned above, On Linux Mint there is no /usr/lib64/opera directory, but there is /usr/x84_64-linux-gnu/lib/opera. It might take me a while to try it though. @gloewa I agree, it would be good if these things were tested and not released if it is not working until they get it working. Every time they do this it gives the users major headaches and wasted time/productivity. @appdevsw That link doesn't work for me. It says file not found. On my PC everything back to normal. This is a easy fix! Download the last libffmpeg from here and decompress it. The fix is not permanent, for every Opera update you need to do this again. For Debian there is no chromium codec and this libffmpeg is always up-to-date and align with Opera updates.